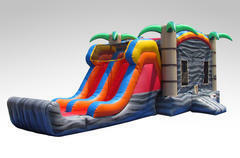 18' high Purple Crush & 25' long Tropic Slip & Slide Combo - please call, email or text to order these two together. Special discount for the combo. 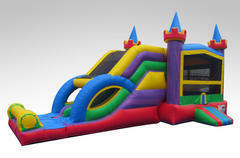 Bouncy castle & slide combo availble wet or dry. 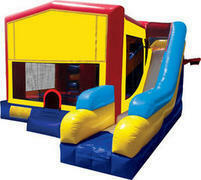 Lots of fun for ages 3 & up. 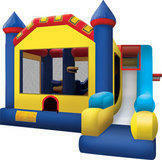 Basketball hoop inside the bouncy castle! 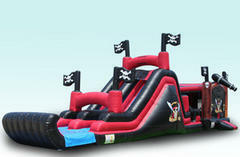 Pirate Extravaganza! 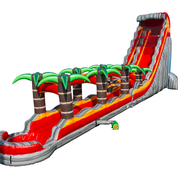 As BIG as fun gets! 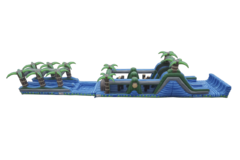 The largest inflatable on Maui! 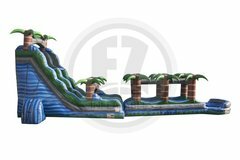 Obsticle course, bounce house & 18' dual lane slide!